Russia’s brand-new T-90 tank is seeing its first military involvement in the battle to push back forces opposed to Syrian leader Bashar al-Assad from around the city of Aleppo. The T-90 tank, one of the newest pieces of military hardware to come into service with the Russian armed forces, is having its baptism of fire on battlefields in Syria. The presence of Russian T-90 tanks in Syria was first reported by Turkish and Iranian media and then confirmed by sources in the Russian Defense Ministry. Syrian government troops are reported to have recaptured the towns of Nubul and al-Zahraa to the north of Aleppo. Their aim is to establish control over “the security zone” between the towns of Azaz and Jarabulus on the Syrian border. In the meantime, on Feb. 2 the Iranian news agency Fars reported that the Syrian army was using T-90 tanks near Aleppo. It said that T-90 tanks had been deployed near the town of Khan Tuman to the south of Aleppo after the Syrian army recaptured it in December. A joint offensive by the Syrian army, national self-defense forces and Iraqi servicemen started on Feb. 1 and has resulted in the liberation of the villages of Hardatnin, Duwayr al-Zaytoun and Tal al-Jabin. On Feb. 5, the Russian news agency RNS cited its sources in the Russian Defense Ministry as saying that a large batch of Russian T-90A tanks, which previously had been in service with the Russian armed forces, were delivered to Syria in late 2015. Syrian servicemen had received the necessary training at Russian training ranges, the news agency said. It went on to add that the T-90A tanks supplied to Syria were first used by the Syrian army near the city of Aleppo. The tanks supported the advance of assault groups of the Syrian army, said RNS. 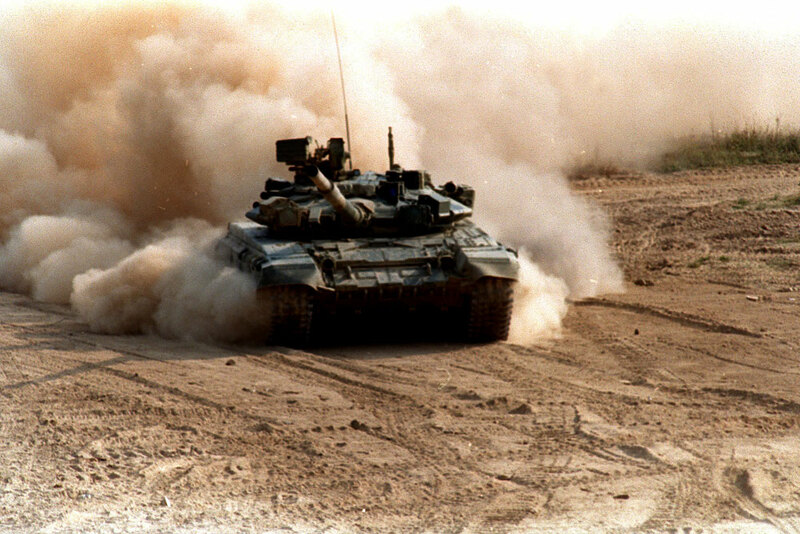 The Russian T-90A tank came into service in 2004. The T-90A is an upgraded version of the T-90 model, known as Vladimir, that was created in the 1980-90s on the basis of the T-72B tank. It was called Vladimir in honor of the tank’s chief designer Vladimir Potkin. The T-90A’s main distinctive features are its engine, the turret and thermal imaging equipment. The tank has third-generation explosive reactive armor that ensures protection against the 120-mm М829А2 and DM43A1 high-velocity decalibrated ammunition used by М1 Abrams and Leopard-2 tanks. Russian T-90A tanks in action in Syria can also be seen in video footage posted online by the Syrian news agency SANA. How much does it cost to run a tank?